Home / edm / elizabeth tan / malaymail / music / news / videos / Elizabeth Tan, Malaysia’s very own Ellie Goulding? Elizabeth Tan, Malaysia’s very own Ellie Goulding? 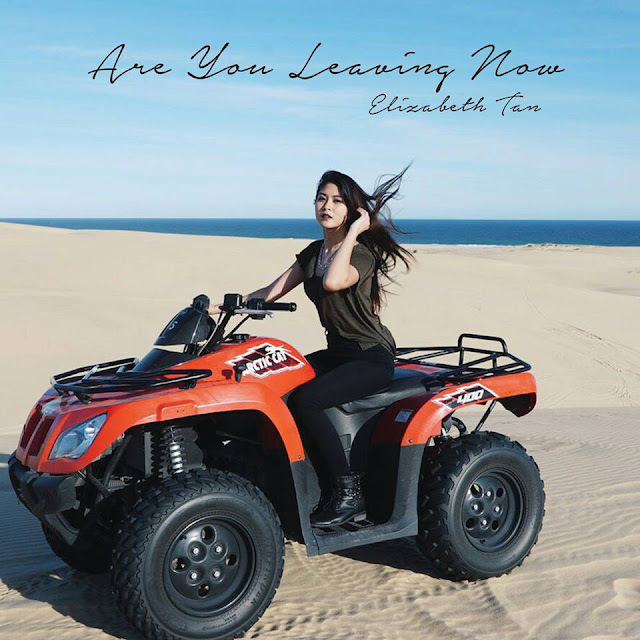 Malay-singing Chinese sensation, Elizabeth Tan has finally released her first ever English debut single titled “Are You Leaving Now”, after releasing three Malay language hits before this. Previously, when TheHive.Asia spoke to Elizabeth, she said that she will probably release an original English song in about three or four years due to some agreements she had with her label, and also because she wanted to focus more on the Malay market first. But now, in less than a year after we talked to her, the 22-year-old singer has already released her first ever English track which noticeably deviates from her past few singles in terms of its musical style and genre. Unlike her two previous chart-topping hits, “Knock Knock” and “Setia”, which are of the pop and ballad genres respectively, “Are You Leaving Now”, is an Electronic Dance Music-style song. But this is not the first time that Elizabeth has taken on EDM; as she was previously featured in Goldfish & Blink’s “Somewhere New”. Her collaboration with the Malaysian EDM duo received positive reviews, and with the rising trend of the EDM genre in the music industry, it is no wonder that the “Knock Knock” singer decided to try a different style. The new song certainly maximises Elizabeth’s sensual vocal to its full potential and it also gives off similar vibes as British singer Ellie Goulding’s hits. The music video of “Are You Leaving Now” was fully shot in Sydney, Australia and we noticed that it was sponsored by Destination New South Wales hence the destination themed music video. Untuk baca artikel ni dalam Bahasa Malaysia, klik SINI.